Home Gardening Hanging Baskets – The Perfect Garden Accessory! 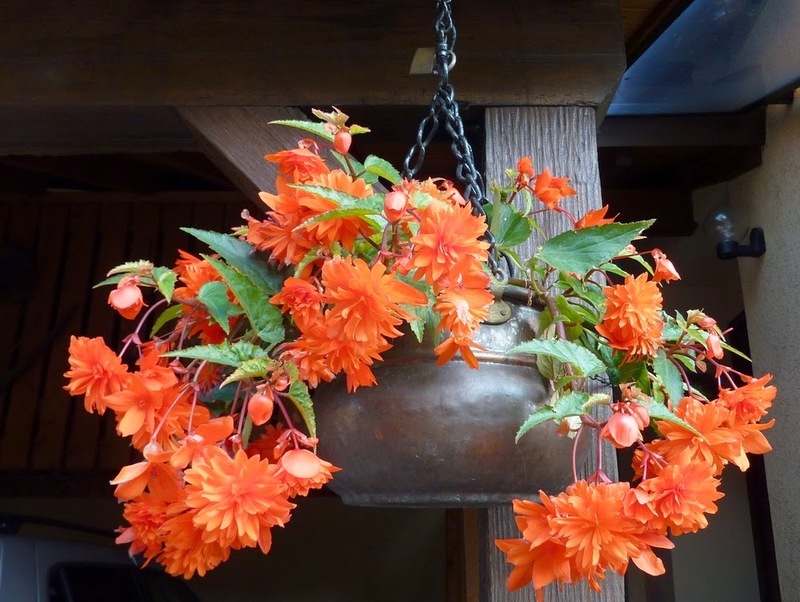 Hanging Baskets – The Perfect Garden Accessory! Have you even been to someone’s garden and been left amazed by the variety of hanging baskets decorating their patio or decking area? Hanging baskets, filled with colorful petunias and geraniums or even succulents and ivy can add a whole new dimension to a garden and can brighten up even the most drab and boring outside spaces! You could if you want even choose to grow some herbs in hanging baskets! Without the hassle of landscaping or excessive garden maintenance, read on to find out about how you can adorn your garden or patio with eye-catching hanging baskets. If you invest in traditional hanging baskets that are made of mesh you’ll need to line them so they hold the compost and plants. You can buy all types of liner, but the cheapest material is sheet plastic that you can cut to the size you want. However you can purchase plastic hanging baskets if you want to bypass the lining process! But bear in mind the mesh-hanging basket is more attractive and will give your garden a more rustic feel! When creating a hanging basket it’s ideal to separate your plants with an inch of space between them. However if you choose to plant geraniums (a hardy flowering plant) you’ll need to allow more space between the plants as they will grow rather large. So how do you plant hanging baskets? Begin by lining your basket (if it’s mesh). Then fill your basket with a compost mix (that you can buy from your local gardening centre or DIY shop) and then insert your plants. If you’re planting trailing plants it’s a good idea to also plant some in the slits of the basket, so they can spill out over the edge. It’s always a good idea to insert an upright and full plant in the centre. Once you’ve completed that fill in any holes or empty areas with the remaining compost. To finish water your hanging basket using a watering can, to ensure an even distribution. Always remember to use a strong bracket or support to hang your basket from and choose a warm and sunny area in your garden, preferably south-facing to get as much sunshine as possible. 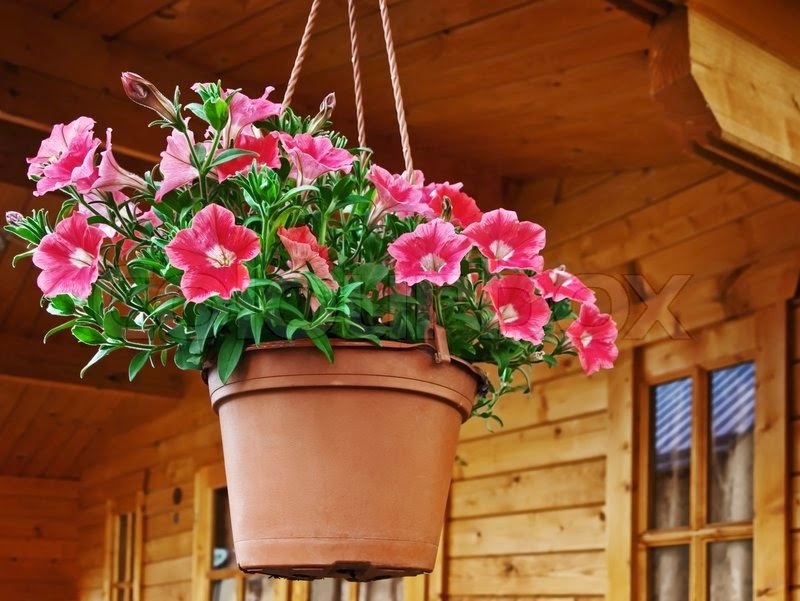 It’s very common for flowers in hanging baskets to dry out, due to the volume of plants inside so be sure in the absence of rain to keep the soil moist. Test the soil by placing a finger in the top-half inch of the compost. If it feels dry below that, then your hanging basket is definitely thirsty! Another good way to test whether your hanging basket needs watering is to see how heavy it is before and after each watering. The best time to water hanging baskets, as with all other plants is in the evening to avoid evaporation from the sun and heat. To keep your hanging basket’s flowers looking their best you should also deadhead any brown or rotting flower heads. The downside to hanging baskets is that they won’t survive harsh winters or extreme low temperatures and frost. So the best time to plant your hanging baskets is early summer. There are however a few perennial plants for hanging baskets in the winter such as dwarf conifers and cordylines. For a great trailing effect why not consider planting small varieties of grasses. Ask your local gardening centre for their advice. Hanging baskets once planted are pretty easy to maintain, as unlike ground plants they won’t need trimming or pruning with sheers. You also won’t need to carry out systematic weed control or hire gardening services to tend to them. There will also be no need for leaf clearance from your hanging baskets and beats that time-consuming lawn maintenance and garden spraying! Annabel Stone likes to write about huge variety of home related topics such as DIY, organizing, garden and landscaping, interior design. She is striving to build up her blogger and writer authority by offering valuable tips for a classy home decor makeover, garden care and maintenance.